Private Keystone Airport Mountain Transportation Service is available 24 hours from Summit County’s Plan B Transportation. Our vehicles are available to meet your transportation needs and schedule. Plan B offers luxury private ski resort transfers between Keystone Resort, Denver International Airport, Eagle County Regional Airport, and other area ski resorts in Colorado. 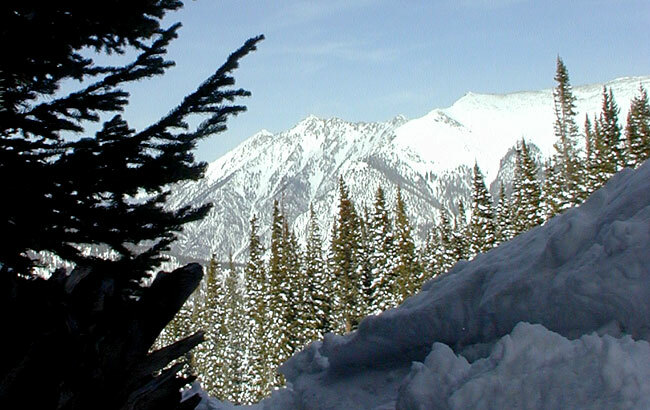 Keystone offers diverse skiing and snowboarding including a bowl in the Outback and Cat Skiing on Keystone’s third peak. A family friendly atmosphere is found everywhere you go at Keystone. Keystone is the only resort in Summit County to feature night skiing. 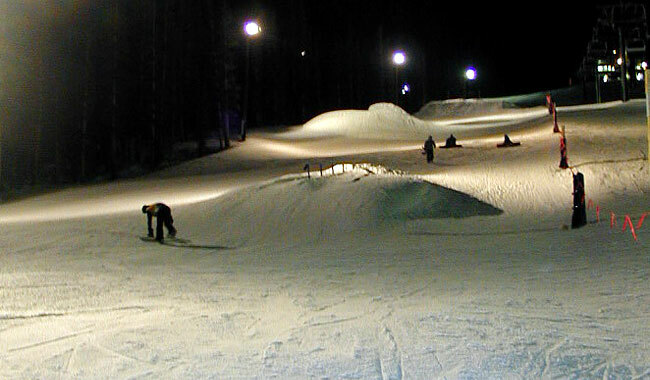 Huge amounts of terrain on Keystone’s first peak are illuminated including a terrain park. If you have never skied powder at night, you are in for a treat. Good advice is to take a break at dusk for an early meal. The lights don’t illuminate enough for excellent visibility at twilight. But when the darkness has fully closed in, visibility is excellent with the trail lights providing clear and ample illumination as the directed light bounces off the snow. Crowds are much lighter and lift lines are usually nonexistent. Photo: Though not evident in this terrain park photo, Keystone illuminates an enormous amount of terrain at night. 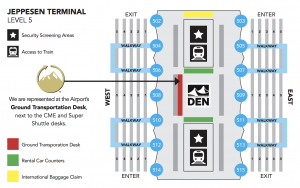 With a late arrival into Denver International Airport, Plan B can still get on the slopes at Keystone the same day. Keystone Resort official web page. Plan B Colorado Mountain Transportation offers custom airport ground transportation services to Keystone for any size family or group. Our Mercedes-Benz Sprinter luxury vans feature seating for up to 11 passengers with full luggage and plenty of room for everyone’s ski & snowboard equipment. 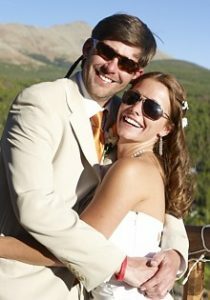 Additionally, Plan B Transportation provides local around town charter services between Colorado area resorts and dinner transfers once you have arrived in Keystone. Let our experienced drivers carry you over the mountain passes in our private, luxury vans to Keystone or other nearby resorts including Breckenridge, Copper Mountain, Vail, and Beaver Creek.